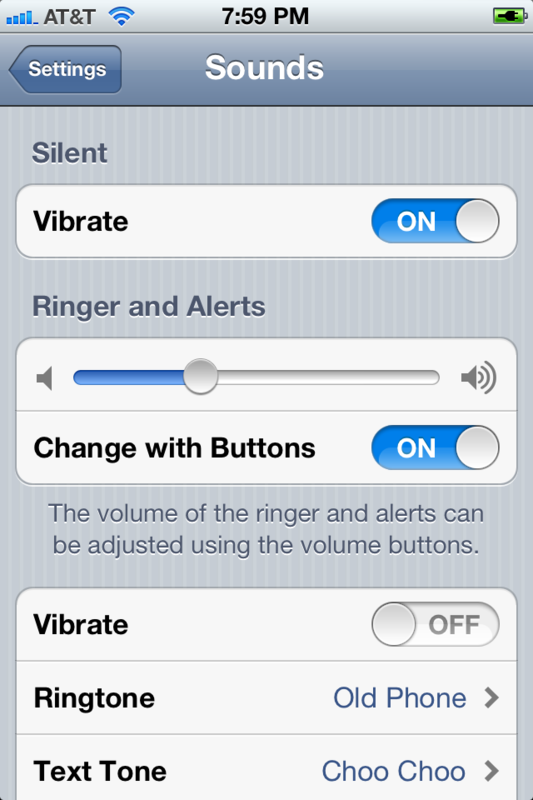 In iOS 5.0 the vibrate setting has become more sophisticated, and thus a little more complicated. But it does give you full control of when your phone will vibrate and when you’re phone will not. If you have an application that allows notifications to vibrate, such as Chakra Chime from Goodman Gear, you’ll need to turn on vibrate functionality in the application, as well as on your iOS settings. These settings apply to iphone, ipad and ipod. On your phone click on the settings icon that looks like a set of gears. This will bring up your settings screen. From here choose sounds. Once on the sounds screen you can clearly see your vibrate options. 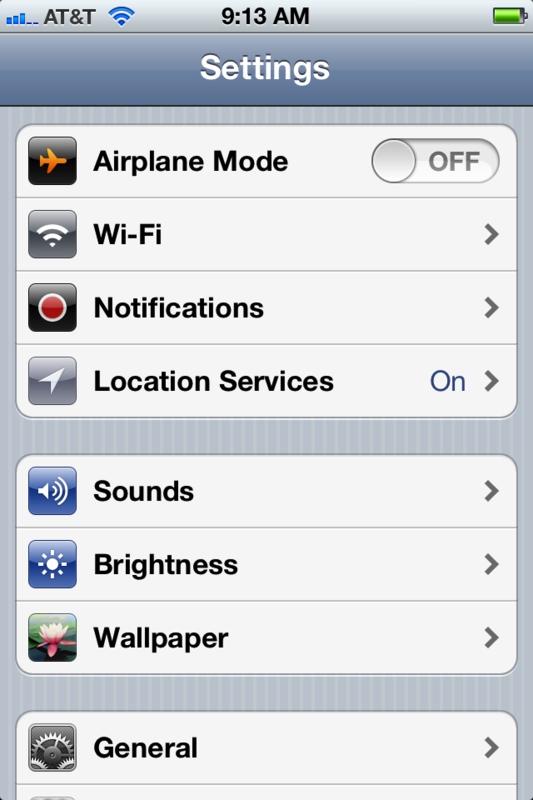 You can choose to allow your phone to vibrate when in silent mode. 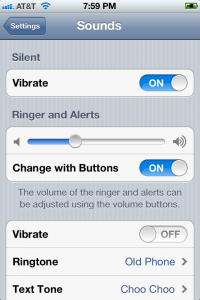 You can also choose to allow your phone to vibrate when in normal ringer mode. Viewing the settings above, you’ll see that this user is configured to vibrate when in silent mode and NOT to vibrate when in normal sound mode. 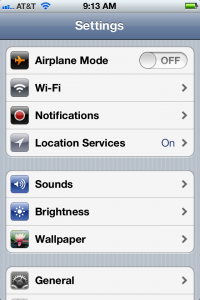 This is the master setting and will override any vibrate settings in your applications by turning them off. When you turn them on here, the applications will then allow you to control whether your phone will vibrate to notify you.